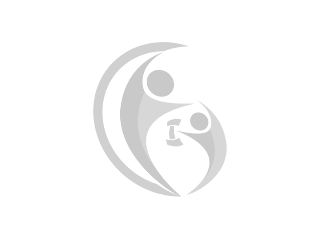 The concept of indoor cycling came up in the 1980s, when the professional cyclist Jonathan Goldberg had the idea to mount his bike for training in his garage so he didn’t had to leave his pregnant wife during the training period. In the meantime indoor cycling became one of the most popular training programs for endurance and strength training in gyms. What makes indoor cycling special is the possibility for the athletes to motivate each other or get motivated by the indoor cycle trainer to perform to their best without losing fun. 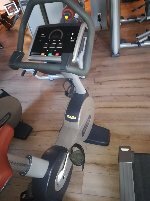 Indoor bikes can be best compared to crosstrainers with a high gyrating mass. However, indoor bikes don’t have a freewheel or training computer with selectable training programs. 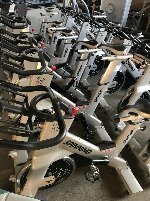 There are some criteria to consider when buying a new or used indoor cycle, because a professional machine in a gym needs to be more resistant and high-quality processed than a home training machine for occasional use. Gyrating mass and drive pulley: The most important aspects when buying a new or used indoor cycle are the fly wheel and the gyrating mass. A high gyrating mass serves to overcome the turning point between the upward and downward movement of the bottom bracket. Especially for high frequency training which is often asked for in indoor cycling courses, a high gyrating mass is necessary. Braking system: The braking system of an indoor cycle principally works similar to a normal bike brake which is used by a rotary knob mounted at the handlebars. According to the intensity of the rotation, the cyclist can individually regulate the braking power and influence the braking effect. Additionally, indoor cycles are equipped with an emergency brake as they don’t have a freewheel. Adjustable seat and handlebar: The processing and stability of the handlebar of an indoor bike is even more important than it is for an ergometer, because the athletes often ride out of the saddle to tread into the pedals standing in a weighing ride. The handlebar should also be well coated which provides a better and safer grip when sweating. When it comes to the seating position of the indoor cycle, the user should be able to hold the handlebar tight while seated. The handlebar of the indoor bike should also be adjustable for being adaptable to persons of different height. Get informed by studying the different ads on fitnessmarkt.com. 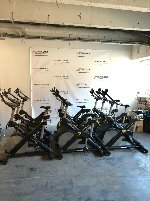 If you want to sell an indoor bike, try to give as much information as possible on model and condition of the new or used indoor cycle in your ad. On fitnessmarkt.com, the marketplace for new and used fitness equipment, you can create an ad in just a few steps. 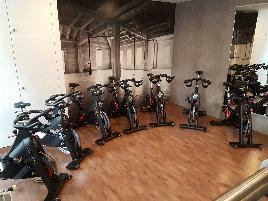 Only some information about the indoor cycle is necessary and the ad is online and visible for prospective customers. 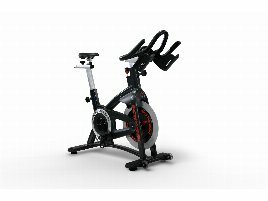 If you are interested in new or used indoor cycle, you can easily find a suitable machine by using several search criteria. The radius search enables a local search in the chosen area and shows the distance to the indoor cycle location.